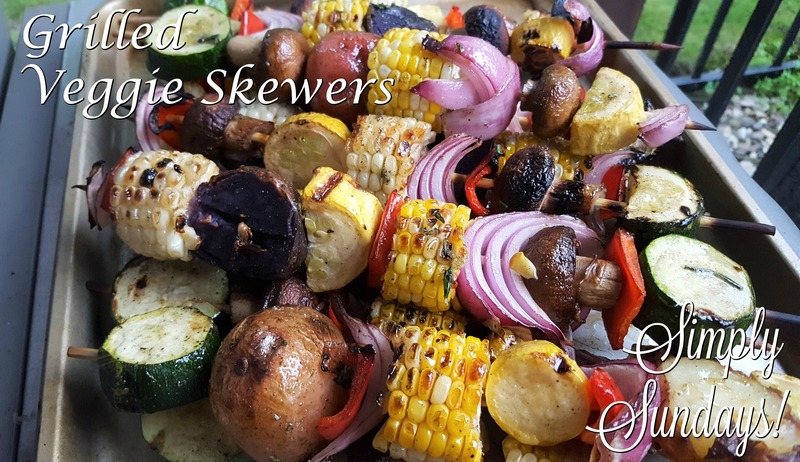 Grilled Veggie Skewers – Simply Sundays! The fiery grill + delicious summer vegetables from the farm stand make me think of veggie skewers! The corn and onions are super sweet and the earthy mushrooms and crisp squash make this a most memorable side! Cut the corn into 2 inch rounds and slice the squash into 1 inch rounds. Depending upon how large the mushrooms are, you can leave them whole. Slice the red pepper and onion into wedges.